DescriptionDecorate your baby shower venue with a profusion of blue balloons, a simple way to create an eye-catching look for your celebration with the elegant gold ‘Baby Shower’ text on blue balloons. A versatile and easy way to add some colour to your celebration. Each pack contains 8 Blue Balloons. 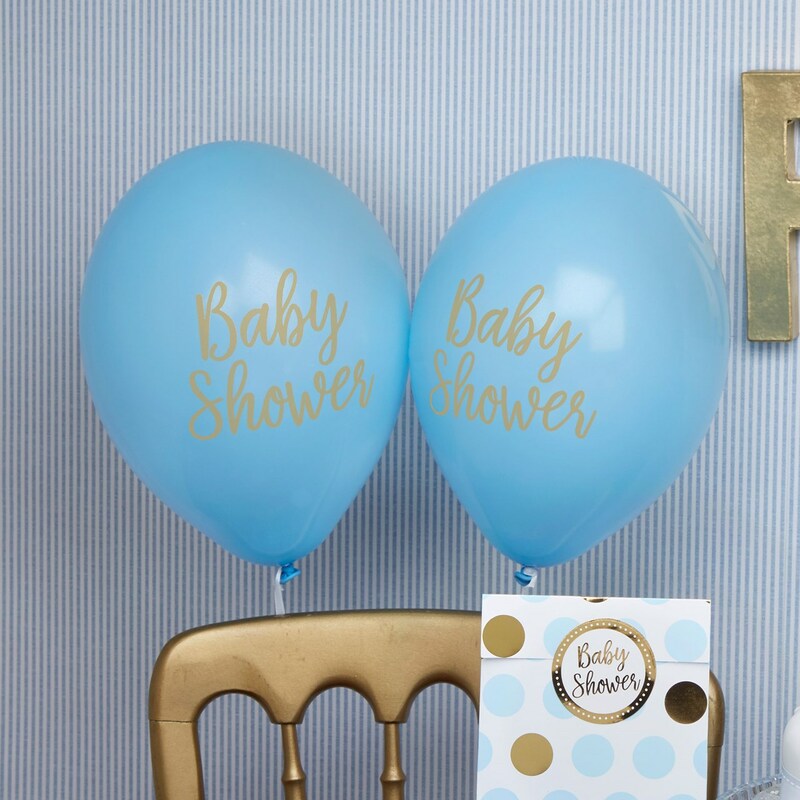 Decorate your baby shower venue with a profusion of blue balloons, a simple way to create an eye-catching look for your celebration with the elegant gold ‘Baby Shower’ text on blue balloons. A versatile and easy way to add some colour to your celebration. Each pack contains 8 Blue Balloons.